Some of the best home improvement projects take place outside the four walls of your house. Curb appeal is essential if you are planning to put your home on the market, but improving the landscaping and exterior appearance of your home is worthwhile even if you never want to move. One of the easiest ways to improve the curb appeal of your home involves nothing more than a can of paint. If your front entry door is in good shape but sports a dull color, repainting it with a bolder tone will give your home a new and more dramatic look. You can also improve the curb appeal of your home with a few simple lights. Installing a dusk-to-dawn spotlight above your front door can make your home more beautiful — and safer too. Lining your front walkway with solar lights can give your home a more elegant appearance and make the home more appealing. 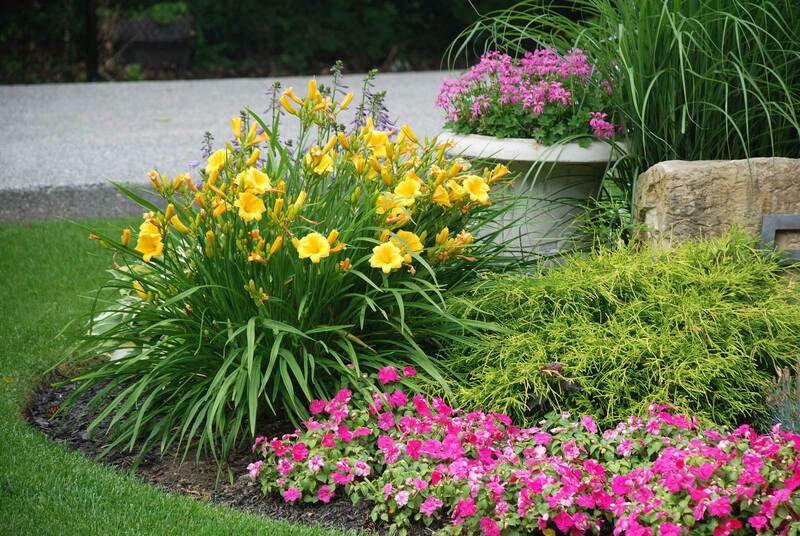 If you have a green thumb, you can put it to good use by decorating the exterior of your home with flower beds. Something as simple as a ring of flowers around the flagpole or a well-placed group of perennials by the mailbox can make a huge difference in the appearance of the home. On a larger scale, don’t neglect the roof over your head. Many homeowners do not fully realize the impact that a roof has on curb appeal. In addition to protecting your home, the roof is one of the most significant features when building, buying, selling or remodeling your home. Increasingly, design-conscious homeowners want a roof that helps tie in the total exterior package. When it comes to making your backyard an appealing gathering spot, there are a range of possibilities and prices options, from simply adding canopies over outdoor sitting areas to installing elaborate pergolas with outdoor kitchens, fireplaces or fire pits. Adding a pool or renovating your existing pool is another way to enjoy your home now and turn the heads of potential homebuyers later, he says, especially if it’s well landscaped. Additions of waterfalls or water features are a plus, as well as tanning ledges and swim up bars. In the garage, Carter says popular improvements today include epoxy or painted floors, cabinets and other organizational systems and better lighting. Some homeowners are even turning their garages into livable spaces with areas for a workshop, small gym, home office or man cave. When it comes to low-effort, big-impact changes inside, it’s hard to beat a fresh coat of paint. Painting walls and exterior areas can cost very little but give a big lift to your home. Buyers can also see your home’s potential better with a “fresh canvas,” resulting in a 112-percent return on investment. Some design tips? Alter the dimensions of a space by painting ceilings a slightly lighter color than the walls, and highlight architectural details by painting interior doors and trim in a colorful hue instead of traditional white. Updating a kitchen, often viewed as the most important room in the house, can increase resale value with a 168-percent return on investment, Carter says. Gourmet kitchen updates with custom cabinetry and chef-quality appliances will increase your market value even more. If you choose to replace your current cabinets, Carter advises going with the best you can afford since you want them to last rather than have to replace them again soon. If smaller-scale kitchen upgrades are on the menu, try refacing your cabinets to give them a new lease on life and leave you with plenty of money in your wallet. By simply painting existing cabinets and adding new drawer pulls and brass hardware, you can make your kitchen look like new. Replacing the faucets can have a similar impact on your kitchen. 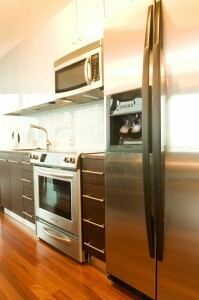 Updating your kitchen to modern faucets can improve the look of your kitchen and save water at the same time. You might even save enough on water to pay for the cost of the upgrade. On the functionality front, innovative hands-free faucets simplify cooking and cleaning tasks while requiring minimal effort to install. In the bathroom, a feeling of luxury doesn’t need to make big demands on your wallet. By making a few updates, you can give your room designer appeal that’s guaranteed to make an impression. Worthwhile improvements include adding or enlarging a window; upgrading toilets with a quick-flushing system that consumes less water; updating the vanity and replacing countertops and showers with solid-surface installations for easy cleaning. Underfoot, hardwood, tile and stain-resistant carpet remain popular choices for 2016. Replacing outdated carpet or flooring, or simply refinishing wood floors that have seen better days, will increase the value of your home, with nearly a 102-percent return on investment, Carter says. If your home includes a staircase, upgrading it can make the property more attractive to potential buyers. 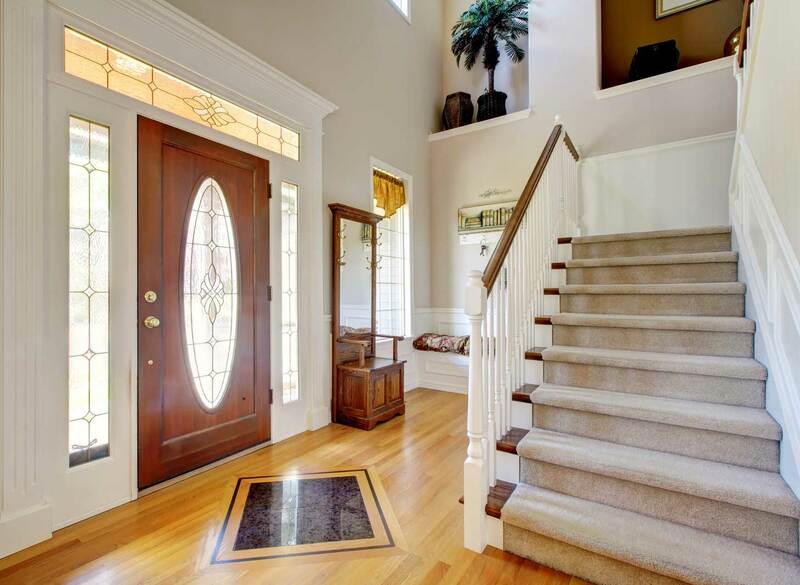 The staircase is one of the first things people see when they enter your home, so make sure that first impression is a great one by replacing worn treads and carpet. And don’t forget the smaller spaces. Organizing your closets can improve the value and appeal of your home. Potential buyers will look carefully at the amount of storage space in your home, and cluttered closets will not make a good first impression. Investing in custom closet shelving and organizers will make your home look neat and tidy — and make your life easier. You do not always have to spend a lot of money or time to make your home look great. If you have a few dollars and a few hours to spare, you can make your home more liveable and even more valuable. From slimming down your bulging closets to fixing your leaking faucets, there are plenty of small ways to add big improvements to your home. Published on July 28, 2015 in Features and tagged none by Kristy Johnson.